About 200 Emerson community members attended the panel. The Institute for Liberal Arts and Interdisciplinary Studies held a student-faculty forum Wednesday to address President Donald Trump’s decision to temporarily ban immigrants and refugees from seven Muslim-majority countries. 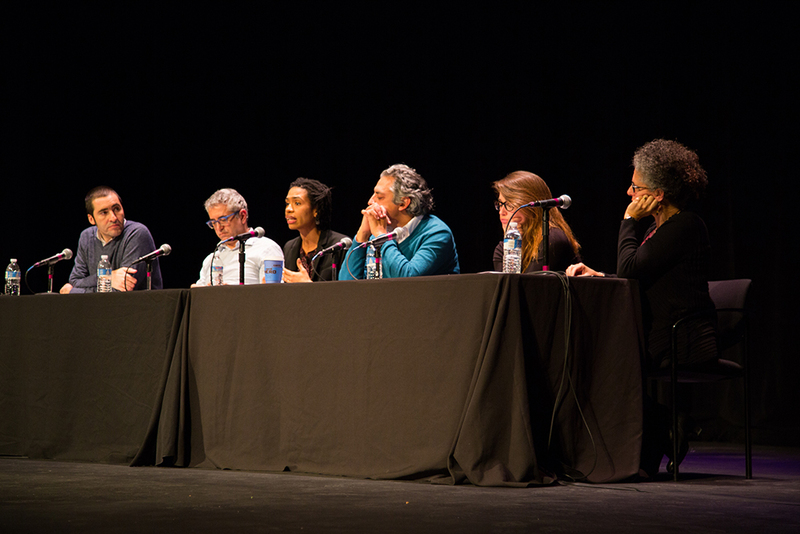 Attended by around 200 community members, the forum featured a panel of five Emerson faculty members who each used their own expertise to clarify the complexities of the new executive order. Assistant Professor Yasser Munif said Trump’s policies are based on several narratives of Islam which are false, like that Muslims are violent, uncivilized, or misogynistic. Assistant Professor Kaysha Corinealdi said these stereotypes alienate people outside of the U.S., which has a history riddled with the exclusion of different groups like Japanese Americans, Chinese Americans, Germans, and others. “These histories of exclusion are not unique to our present moment … let’s not repeat history again,” she said. Affiliated faculty member Gazmend Kapllani said racism strips people of their personal history. “Never give up believing in the power of kindness,” he said. Alex Dutton, a junior individually-designed interdisciplinary major, said she was grateful for the context and background the professors were able to give for the discussion. “I feel very privileged to have access to spaces and discussions like these,” Dutton said.